The Society of Motor Manufacturers and Traders consumer protection section, 'Motor Codes', has launched a national campaign to make the country’s garages better by gathering feedback from customers. 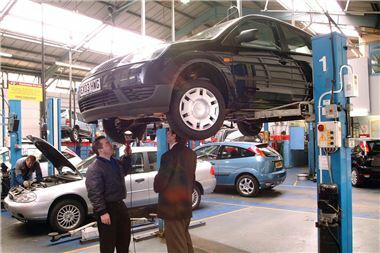 As part of the campaign, those providing feedback could win up to £500 against the cost of their last service or repair. To find reputable local garages, motorists make over 500,000 searches a year using the online Garage Finder tool on the Motor Codes website. Having found nearby garages, users can use the independent Garage Ratings to pick the best business. Earlier this year, Motor Codes in conjuction with www.honestjohn.co.uk ran its annual Golden Garages competition that highlighted some of the UK’s best service and repair centres. This latest customer offer, combined with feedback gathering will promote best practice, enabling more garages to provide first class customer service. The Motor Industry Code of Practice for Service and Repair helps motorists to identify responsible garages, offers a structured complaints procedure and promotes good customer service at its subscribing garages. More than 6,200 garages in the UK subscribe to the Code which has completed the first stage of Office of Fair Trading (OFT) code approval and is currently progressing through the further stages of its Consumer Codes Approval Scheme.